In today’s economy, we’re all looking for ways to spend less in every aspect of our lives. Below are five money saving tips you can practice on a regular basis to do just that! You will spend less on everything from pain relievers to groceries and cleaning supplies, just by purchasing goods from the store’s own product line rather than buying brand name products. 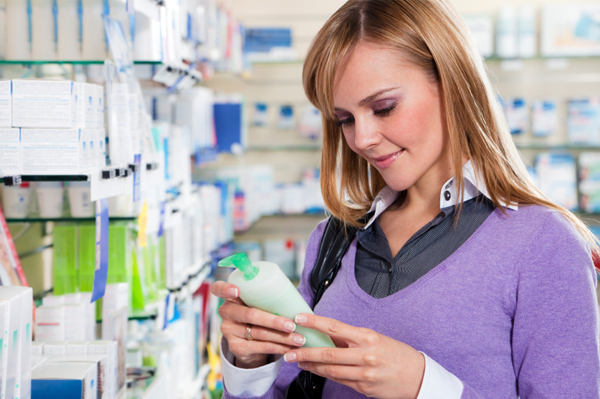 Check the labels for active ingredients to make sure you’re getting the same product, just in a less fancy package. The best household money saving tip? Good old everyday vinegar may be used to clean just about anything in your house! Vinegar does a bang up job on windows, countertops, bathroom fixtures, and much more. It’s safe for you and the environment, and is much less expensive than commercial cleaning products. Spend less on clothes by shopping at the end of the season. For example, you’ll save big by purchasing a swimsuit for next summer at the end of beach season this year. Use the same technique for buying a winter coat, a grill for the patio, holiday items, and more! If you have the storage space available, buying in bulk can keep more money in your pockets. Purchase items without an expiration date such as paper towels, toilet paper, and cleaning supplies. Hello two-for-one deals! Take a friend along on shopping trips; you’ll spend less on gasoline by carpooling, and have a fun outing at the same time. The two of you can team up to look for bargains and keep each other from spending too much. Friends don’t let friends buy on impulse! It’s all about keeping more of your money in your purse. Try these everyday secrets to spend less and put the savings in a bank account for the holidays. It will be fun watching your savings grow and, as an added perk, you’ll be earning interest on your funds. You can’t beat that and it doesn’t cost you a dime.